The Best Philippines Entertainment Blogs from the most visited websites in Philippines using search and social metrics. Subscribe to these websites because they are actively working to educate, inspire, and empower their readers with frequent updates and high-quality information. Philippines Entertainment newsletter is a comprehensive summary of the day's most important blog posts and news articles from the best Philippines Entertainment websites on the web, and delivered to your email inbox each morning. To subscribe, simply provide us with your email address. Makati City About Blog Your Total Entertainment Blog. Since February 2006, Starmometer is bringing you the hottest entertainment updates from Hollywood and local showbizlandia as well. We are one of the very first blog of its kind, featuring all kinds of genres from tv to music, movies to sports, fad to fashion, news and celebrities, they’re all here! Facebook fans 495,261. Twitter followers 61,274. Philippines About Blog Your daily dose of entertaining, useful and informative lists. 8List.ph is a groundbreaking digital publication that appeals to a new generation of Filipino consumers. Our content comes in the form of exciting visual lists, perfect for those who love a good, quick read. We deliver the latest news and happenings in the Philippines. Facebook fans 339,500. Twitter followers 2,136. About Blog Get Real Philippines is a website that catalogues aspects of the character of Philippine society and culture that affect its ability to achieve what it aspires to be. Facebook fans 187,286. Twitter followers 5,174. Philippines About Blog Wazzup.PH showcases entertainment, lifestyle, food, movies and anything fun in the Metro and in the Philippines. Facebook fans 2,077. Twitter followers 884. Philippines About Blog A part time blogger and full time shopper. Loves the thrill of bargain hunting. Loves to share sale events and shoppenings. Gives you a peek of her shopping experiences and escapades. Facebook fans 33,371. Twitter followers 4,660. About Blog Collection of funny tagalog jokes, quotes, sayings, memes, hugot, banat, gags, trending videos, epic animations, GIFs and more! About Blog Documenting Manila Independent Music Scene, one live gig at a time. Facebook fans 27,762. Twitter followers 16,047. Philippines About Blog 8List.ph is a groundbreaking and award-winning digital publication that appeals to a new generation of Filipinos. We put pop culture through our blender. Pop, it goes. Facebook fans 339,513. Twitter followers 2,136. Manila, Philippines About Blog Pinoy Gossip Boy, a mixture of trivial and mainstream news, is a trend-spotting, hot online source for pop culture gossip and breaking entertainment news. Facebook fans 6,795. Twitter followers 12,192. Baguio City About Blog We are a lifestyle and entertainment news magazine, featuring celebrity reports, reviews and a lot more! Facebook fans 12,367. Twitter followers 145. 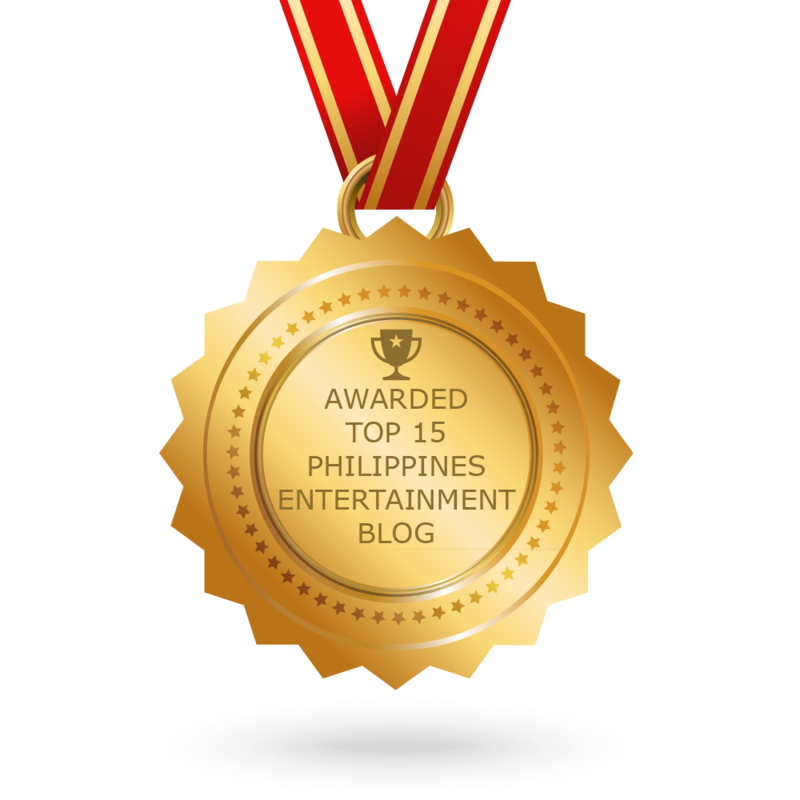 CONGRATULATIONS to every blogger that has made this Top Philippines Entertainment Blogs list! This is the most comprehensive list of best Philippines Entertainment blogs on the internet and I’m honoured to have you as part of this! I personally give you a high-five and want to thank you for your contribution to this world.